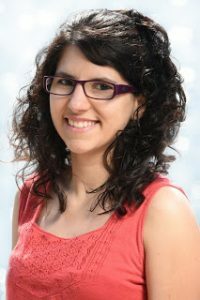 Silvia Melero Gomez holds two bachelor’s degrees in music education: one focused on music teaching at primary schools, and one focused on Music Pedagogy, Solfège and Aural Skills, with Piano as the main instrument. She also recently completed a master’s degree in Teaching Spanish as a Second Language. Silvia has broad experience teaching music to people of all ages, from young children to adults. She has been teaching Piano, Music Theory, Ear training, Voice, Music Playschool as well as conducted children choirs since 2006. Currently Silvia teaches Piano, Ukulele and manages the Music Playschool group in Spanish at the International School of Music Finland. She is also the music teacher of the Spanish speaking kindergarten Mi Casita päiväkoti in Helsinki and the Spanish teacher at Pasilan Peruskoulu. She is very active in the Spanish speaking community in Helsinki, and also runs some teaching projects with professional in other fields, as the Music and Yogalates (Yoga + Pilates) workshop. Silvia participates in Helsinki’s music scene by singing in choirs: she has sung in the mixed choirs SOL (Savolaiset Osakunnan Laulajat) and Äänenkannattajat and the all-female choir Lyckokatter. Silvia is a native Spanish speaker and can also speak both English and Finnish fluently. Where are you from and what instruments do you play? I am from Spain and I play piano and sing (not professionally). If you weren’t a musician what would you be doing? I would definitely be teaching, but maybe something different. I finished in Spain a bachelor’s + master’s degree on teaching music and a bachelor’s degree on teaching music in school. Where are you studying now? I’m currently finishing a master’s degree on teaching Spanish as a foreign language, through Barcelona University. What was the thing that got you interested in music? My mum playing piano and my dad singing and playing guitar. Why are you in Finland? Always the same question, why not? 🙂 It is a wonderful country. Who is your favourite musician/composer? Do I have to choose? Many of them for many different reasons. What has been your most special musical experience to date? No idea, but I enjoy singing in choirs. Do you have any secret/not-so-secret (unmusical) talents? I cook delicious food, if that counts. It depends on the particular pizza or salad. What is your favourite country to visit? Early autumn in Helsinki, spring in Spain. My father’s paella and every one of my mother’s dishes. Quite a few of them: reading, learning languages, cinema, gathering with friends, singing in choirs, swimming… What I don’t unfortunately have is time for all of them.